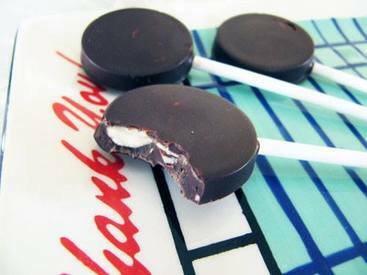 Sea salt chocolate almond lollipops! It’s subtle and tasty. I bet it’d be fun to eat these with wine, since bittersweet chocolate is wine’s BFF. They always talk on the phone about their days. This chocolate party is probably a bit prettier as bark because the almonds and salt are on top and you can see them and it’s bejeweled. But there’s just something about a one-bite snack, that makes me want to pour everything into my lollipop molds.